What do Times Square, the Empire State Building and Madison Square Garden have in common? All three of these New York City landmarks are within walking distance of La Quinta Inn Manhattan, located right in the heart of the Big Apple. With its landmark Beaux Arts facade, this impressive 12-story property boasts 182 newly renovated rooms that provide the services and amenities you've come to expect from La Quinta including, including Free Wireless High-Speed Internet Access. La Quinta Inn Manhattan is just minutes away from Macy's Herald Square and other premiere shopping, dining, entertainment and nightlife, making comfortable shoes the only transportation required to have a real New York experience. Because the hotel is centrally located, you can easily venture-out in all directions to see what the city has to offer. Just enjoy the sights or have a great meal at one of the many fine restaurants located here. 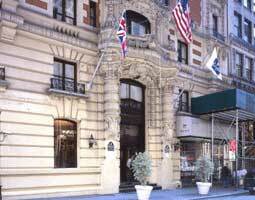 The La Quinta Inn Manhattan is also conveniently located near Penn Station and all major transportation. You are truly minutes away from anywhere in the five boroughs when you stay with us. For the best value in New York City-the La Quinta Inn Manhattan is the answer. PLEASE NOTE: There is a parking fee of 27.00 USD per day at this hotel with no in/out access. Hotel occupancy fee of 1.50 USD per room key per night will be applied to all reservations. Pets are not allowed. This hotel is located in an area that does not accommodate pets. Empire State Building, .1 mi. FDNY Fire Zone, .1 mi. Liberty Helicopter Tour, .2 mi. Jacob Javit Center, .4 mi. New York Public Library, .4 mi.